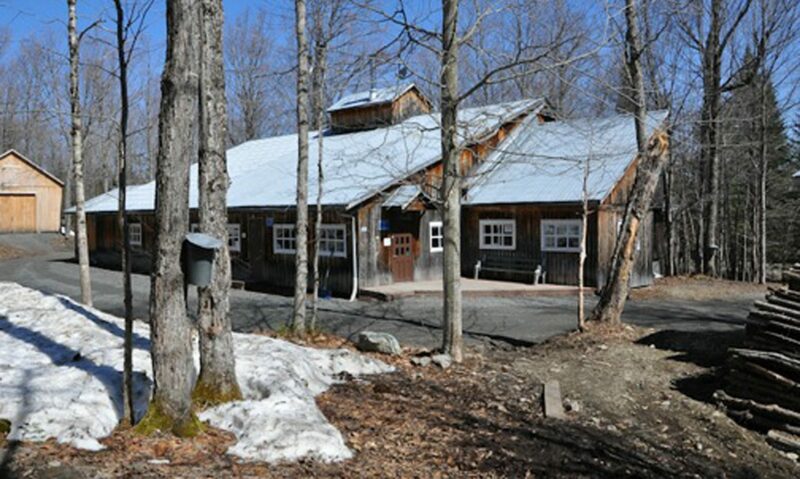 Our sugar shack is located near Lac-Megantic, Quebec, 105 km east of Sherbrooke, QC. Except for those driving up from Maine (see below), visitors should head to Stornoway, QC, located roughly 40 km northwest of Lac-Megantic, at the junction of Routes 108 and 161. From there, head south on Route 161, then north on Route 263. Roughly 5 km further, turn right on Chemin Bellavance at the blinking red traffic light. Our maple shack is located at 733 Chemin Bellavance. If convenient, you can enter Canada by travelling to Coburn Gore via ME-27. After the Port of Entry into Canada, head north on Route 161. About 5 km north of Lac-Megantic, turn right on Route 263 North. Roughly 5 km further, turn right on Chemin Bellavance at the blinking red traffic light. Our maple shack is located at 733 Chemin Bellavance. Please do not increase the number of guests without prior request. A fee of $5.00 per missing person is charged unless a 24 hour notice. For the benefit of all, we appreciate your collaboration!